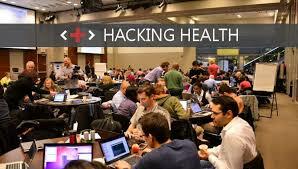 Smart Everything Everywhere and Johnson&Johnson Romania will be organizing the Hacking Health Hackathon on Oct. 28th & 29th. Applications are open to all — if you’re a software engineer or developer, designer, cloud engineer, mobile application developer, web developer, health specialist or health IT specialist, doctor, medical student, computer science student, business person with IT inclinations, or are operating in any other related field and want to make a difference in Romania’s healthcare system, don’t forget to register by Oct. 11! Three winning teams will each receive $5.000 seed funding prizes that they can use for the development and implementation of the projects. The contest will be judged by: Diana Paun (Presidential Counselor for Health); Bogdan Iordache (Founder How-to-Web and TechHub); Paul Baran (Digital Champion of Romania); Lorena Macnaughtan (Digital Health Advocate and Researcher); Ioanel Sinescu (UMF Carol Davila Rector).